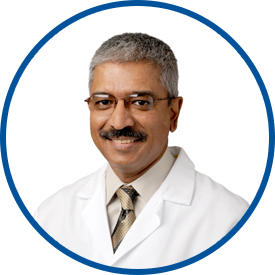 Dr. Dasgupta is board certified in obstetrics and gynecology and is a Fellow of the American College of Obstetricians and Gynecologists. He has a special interest in all aspects of OB/GYN ultrasound and devotes much of his time to gynecological surgery. post-graduate training at the University of Madras and Barnsley General Hospital and the University of Oxford in the United Kingdom. He was chief obstetrics and gynecology resident at Queens Hospital Center. Dr. Dasgupta joined the Westmed Medical Group in February 2005. He is an attending physician at Greenwich Hospital and The Rye Ambulatory Surgery Center. Dr. Dasgupta goes above and beyond. He shows how much he truly cares of his patients. I would recommend him to anyone I know, he deserves the recognition! *Dr. Dasgupta is amazing! In a time when things can be scary (early pregnancy) he did everything to put me at ease. He responds to messages quickly and has made this whole experience amazing. I cannot say enough good things about him!!!! I have recommended many people to Dr. Dasgupta, he is the best! dr Dasgupta is an unbelievable doctor who is very polite and respectful. I've recommended so many friends and family to him and we all are so happy with him. I was not able to se my regular doctor, but I was so happy with my visit I would like to switch to this doctor as my regular physician.